Getting under the bonnet of Industry 4.0: An Optimum PPS Blog series. 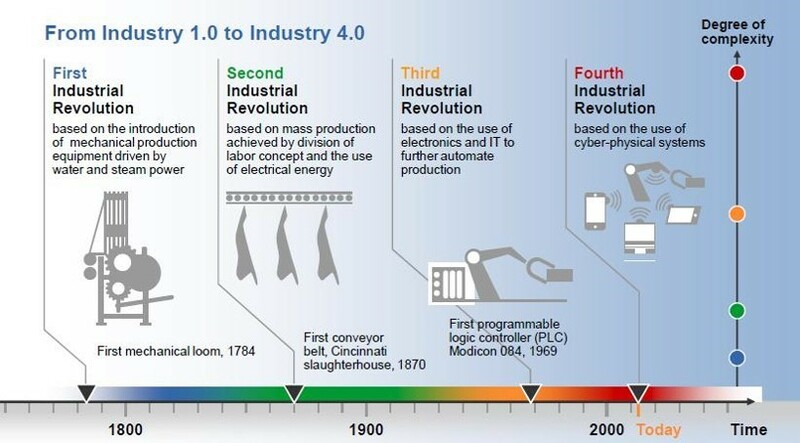 What does Industry 4.0 actually mean? What are the quantifiable benefits of industry 4.0 technology? Can current operational processes withstand new technological implementation projects? How Is Industry 4.0 applicable to your business? Part One: What is Industry 4.0 and what does it mean for a business? According to the World Economic Forum, between 2018-22, a third of traditional sector leaders will feel the brunt of digital disruption within their own organisation. Business intelligence service, Euromonitor International has stated that Industry 4.0 will impact on all aspects of an organisation. From structure to operations from finance to marketing. Industry 4.0, is based on the use of cyber-physical systems and their incorporation into the entire business organisation. According to EY, the rise of Industry 4.0 and the Internet of Things (IoT) represents a massive transformation. Millions of structures, including factories, homes, and energy and transport systems together with all the products and machines they contain, will soon be interconnected and responsive in real-time. The primary driver for this new industrial change is based on the coming together of different innovations. The embedded systems on shop floors, Artificial Intelligence (AI), Cloud-based computing solutions, the Internet of Things, advancements to Big Data and the analytical processing software, along with the mobile devices and the ability of all these devices and technologies to interconnect via the internet. It is important to remember that these innovations are available now, they are not concepts in development. This new technology is now beginning to be implemented by leading organisations within the manufacturing sector. If an organisation is to keep up, remain competitive and most importantly continue to grow, the time to begin the journey to industry 4.0 is now. Fundamentally, Industry 4.0 is about products, services and devices being able to communicate effectively with each other and feed the data into systems for analysis and response. In a factory setting, this means conveyor belts, scanners and all of the other machinery and the systems supporting them will all be connected. With the potential for each one to impact the next in terms of productivity. For example, if a fault arises in one machine, then the other machinery and systems will respond automatically to minimalise the impact. That is just one example of the potential of the new technology. Businesses are now often overflowing with data but struggling to format and centralise this data into one version of the truth. ERP, CRM, SCM, WMS and BI systems are too commonly implemented in silos. Each giving separate reports from differing sources and master data. From our experience, it is this process that many organisations are feeling overwhelmed with. Industry 4.0 is about bringing all of these elements together. However, with all of this technological change, it can become easy to forget the most important element of your organisation, the people within it. The impact of Industry 4.0 technology will undoubtedly impact the roles and processes for the people employed by a business. With the brunt of the impact being placed upon the traditional shop floor workforce. Yet, with less need for shop floor staff comes a higher need for more technological roles. How an organisation manages this shift in skill sets could potentially be the key in an overall projects success or failure. As with any change project, a well planned and executed change management program is essential in achieving success. The first steps for a manufacturing organisation to embrace industry 4.0 should be an honest, in-depth analysis of the current state of operations. An organisation must have control of there existing ‘as is’, analyse the collated data and then plan a route forward starting from the areas in their business that require the most urgent action. Don’t think of Industry 4.0 as a vast singular project. Develop manageable projects that address the areas that are most in need of revamping before building out the principles and technologies of Industry 4.0 across your organisation, step by step. There is traditionally a slow uptake of new technology within the manufacturing sector and therefore, the earlier an organisation begins this process, the better it is for organisational growth and longevity. It is crucial that business leaders begin the process of examining and analysing legacy systems and begin looking to update or replace existing business systems in order to invest in the right technological developments and advances for their business in order to protect growth targets and maintain their competitive edge. Identifying the small steps that can lead to big changes.